Anton Yelchin played the Chekov character in three motion pictures: Star Trek (2009), Star Trek Into Darkness (2013) and Star Trek Beyond (2016). His tragic death saddened people around the world. Born in Leningrad in 1989, the star emigrated to the United States as an infant with his parents, both famous professional figure skaters. He participated in acting classes as a child. He appeared on television shows in the United States by the age of ten. He earned an award in 2002 for his work in the film Hearts in Atlantis (2001). During his brief career, he would eventually win roles in over 20 major film and television productions. 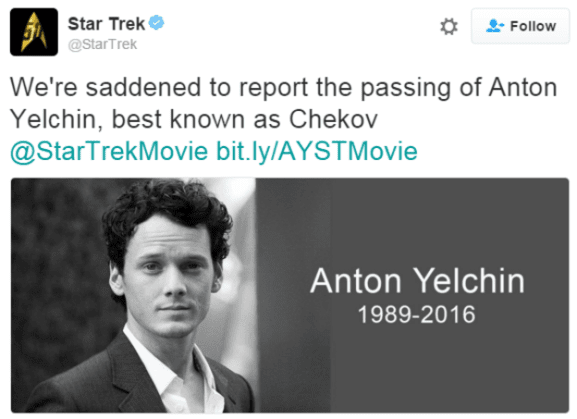 The tragic death of actor Anton Yelchin recently has generated widespread publicity. The young star's loss focused extensive media attention on problems associated with electronic gear shift safety issues. The acclaimed film star perished in an auto accident in his driveway on June 19th. This month, his parents, Victor and Irina Yelchin, filed a lawsuit against automaker Fiat Chrysler alleging that defects in the actor's Jeep Grand Cherokee precipitated their son's death. 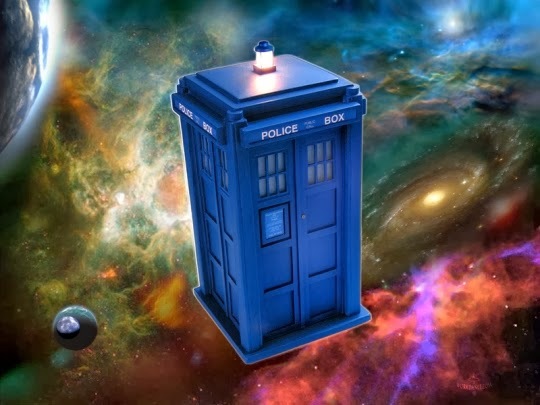 Sometimes described as the fusion of an old-fashioned Western drama and science fiction, Star Trek recounts the adventures of a fictional group of intergalactic space explorers from Earth in the future. The original television show remained on the air only three seasons, but gained an international following during decades of re-runs. 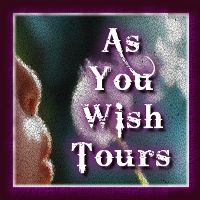 The series benefited from strong characters and well written, innovative plots. It has inspired a loyal fan base. Anton Yelchin, a 27-year old, portrayed Pavel Chekov in the most recent string of popular movies based on the 1960s television series. Veteran actor Walter Koenig had appeared in the role previously. 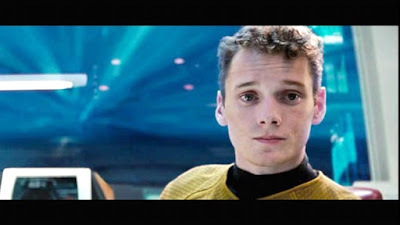 Anton Yelchin played the Chekov character in three motion pictures: Star Trek (2009), Star Trek Into Darkness (2013) and Star Trek Beyond (2016). His tragic death saddened people around the world. Born in Leningrad in 1989, the star emigrated to the United States as an infant with his parents, both famous professional figure skaters. He participated in acting classes as a child. He appeared on television shows in the United States by the age of ten. He earned an award in 2002 for his work in the film Hearts in Atlantis (2001). During his brief career, he would eventually win roles in over 20 major film and television productions. The talented young actor apparently perished shortly after he exited his vehicle upon returning to his residence late at night. His Jeep Grand Cherokee rolled backwards down a steeply inclined driveway and struck him, pinning him against an obstruction. Allegations in the wrongful death lawsuit contend known flaws exist in an electronic gear component utilized in the star's model of vehicle. Victor and Irina Yelchin allege defects in the electronic gear selector resulted in the Jeep Grand Cherokee rolling backwards unexpectedly and causing their son's death. In April, 2016, the auto manufacturer reportedly sent out recall notices on more than a million vehicles affected by a defective gear part, including the model driven by Mr. Yelchin. Federal regulators reportedly noted safety concerns last August relating to the issue. The FCA company worked for months on developing solutions. 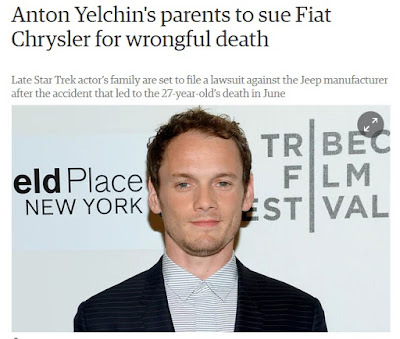 In June, just a few days following the accident in which Anton Yelchin perished, a number of Jeep Grand Cherokee owners reportedly filed a class action lawsuit against the automaker. They alleged insufficient measures had occurred to correct the gear selector defect. The Fiat Chrysler Company declined to comment to the media about the accident involving Anton Yelchin or his family's wrongful death action. The company reportedly hopes to fully investigate the circumstances, however. The firm previously expressed sympathies over the young man's loss to his parents. The auto manufacturer has reported that vehicles left by drivers in the wrong gear may roll backwards in some situations. The company's investigation into the fatal accident remains ongoing. Mark Sadaka from Sadaka Associates, the leading Defective Product Attorney, has a national practice and works with clients from New York to Alaska.